Dining Out: Chef Panel-Who do you love to cook for? Winner of OpenTable Diners' Choice Awards for February 2016! Eater Denver: Pork Belly Is Still King At Coohills: But Only This Week! Eater: Is Denver's Dining Scene Ready to Change the Tipping System to a Service Charge or Salary? Denver by the Slice: Coohills Starting Sunday Brunch on...of course... Mothers' Day! 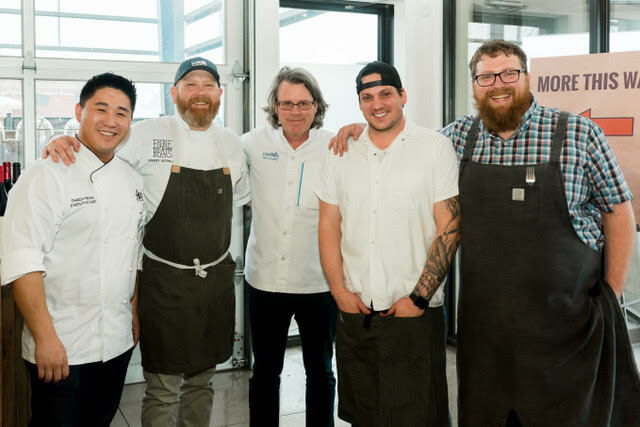 Blacktie-Colorado: Eight of Denver's newest chefs wow "Evening of Decadent Delights"
Denver by the Slice: Coohills 1400 to Open this Fall, By the Creek!